We are capable of building websites for any industry. 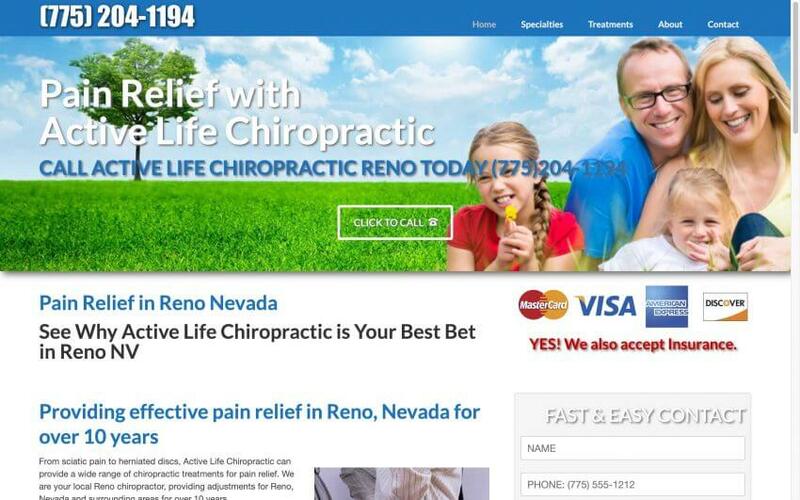 This Reno chiropractor is not like any chiropractor I have ever had. He doesn’t lay you on the table and start yanking your body around to crack your bones. he uses this thing that manipulates the bones back onto place. He also does thermal therapy that helps improve circulation and reduces pain.